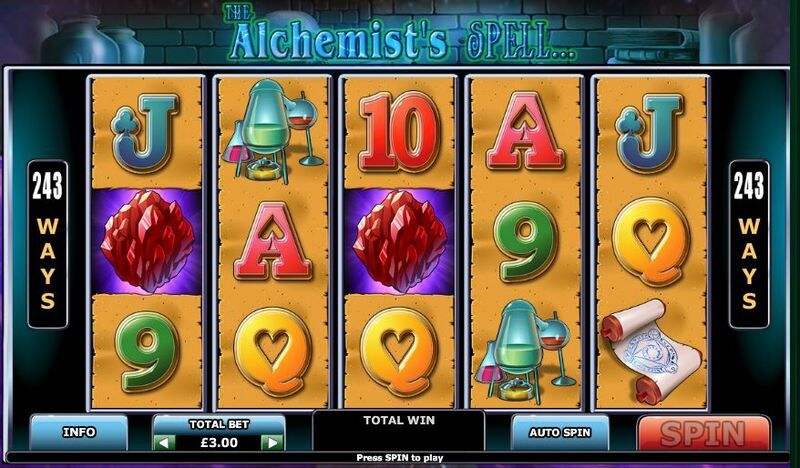 The Alchemists Spell slot is a Playtech classic and one of their earlier games. There are 243 ways over 5reels and the theme is potions and wizardry. Like some of the potions the game is quite volatile. 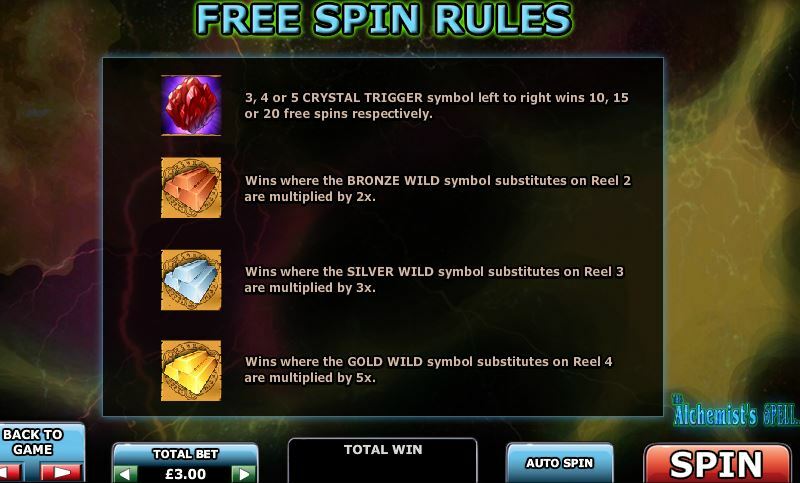 There are Wilds on reels 2, 3 and 4 and 3 or more Red Crystal scatters on consecutive reels starting on the first will trigger 10 to 20 free spins which may be retriggered. 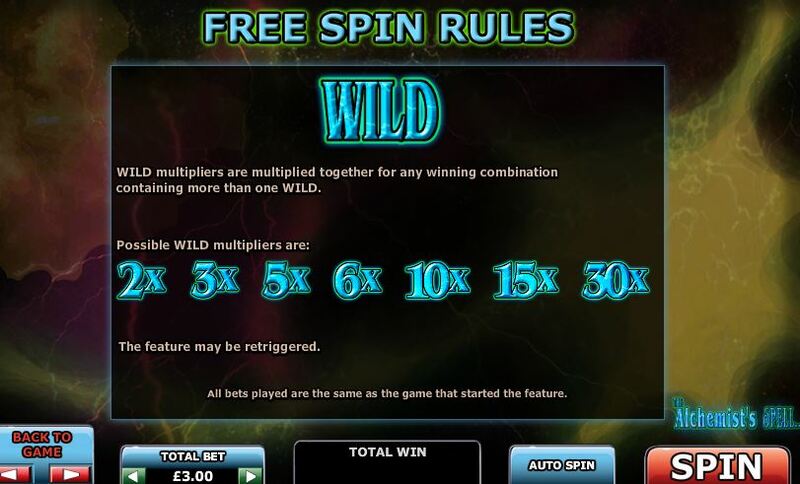 The Wilds have attached multipliers being 2x on reel 2, 3x on reel 3 and 5x on reel 4. 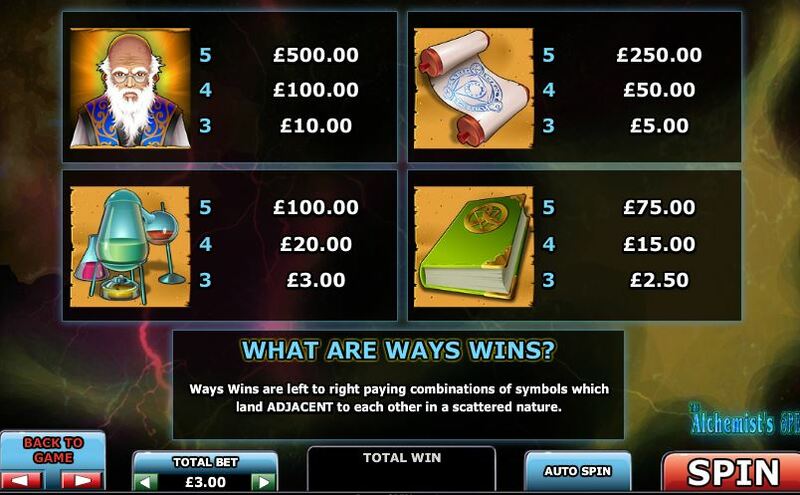 Should any 2 or 3 of them land in unison, they multiply each other therefore a maximum of 30x is possible similar to the maximum 30x in WMS’s Wishing You Fortune slot. RTP is 96.05%.